We know that when you’re looking for the best pediatric dental practice in Portland, Oregon, quite a few criteria are important to you and your family. Compassionate care, a high level of training and education for both parents and children are just a few. From infancy all the way through adolescence, Sprout Pediatric Dentistry & Orthodontics is here to serve your children by providing high-quality dental care. No matter what age your kid is, we have the skills and expertise to address their individual needs. If your little one were sick, you would take them to a pediatrician with the specialized skills to address their unique needs. When it comes to your child’s oral health care, it’s the same. Our team is specially trained in the field of pediatric dentistry. During this time in your child’s life, they change at a rapid rate, including their mouth. As they grow, lose baby teeth and gain adult teeth, a lot of shifting and moving is happening. Our board-certified pediatric dentist is specially trained to address such changes. Plus, we love kids! We’re not afraid of the energy, exuberance and blunt honesty of even the most rambunctious young ones. 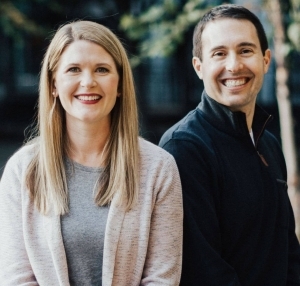 To become certified in pediatric dentistry and orthodontics, our two specialists here at Sprout had to not only complete dental school but also go through additional residency training programs to ensure they were fully prepared to handle child patients, from the youngest to the oldest. Whether it’s your child’s first appointment or they’ve already lost most their baby teeth, we welcome you to experience the difference a fully trained pediatric dentist and orthodontist can make to your child’s oral health. As your kid grows, their dental needs evolve from one stage to the next. With our specialized training, we pride ourselves on providing your children with the proper oral care they need to develop. Pediatric dentistry begins with creating an environment where your little one feels comfortable going to the dentist. Our fun and enthusiastic staff members focus on taking away any jitters they may be experiencing. As your kid gets older, we continue to pay attention to their overall oral hygiene, but we also provide instruction. This step allows them to learn good habits young so that they can keep taking great care of their teeth at home. Another exciting aspect of being a patient at Sprout Pediatric Dentistry & Orthodontics is that we’re a dual-specialty dental practice. Not only do we address all your child’s dental needs, but we’re also there to supply orthodontic services if and when the need arises — both practices are under one roof. This consultative approach allows us to work together with you to create a dental plan for your kid. After all, no two children patients are the same, so we understand that a one-size-fits-all treatment strategy won’t work. We’re excited about working with you to ensure that your child has the best dental care available. If you’re a patient somewhere in Portland, Oregon, schedule your appointment today or call us at 503-477-9911.